Contents: Foreword/Henry Fairfield Osborn. Preface. 1. Preparations. 2. Some preliminary digressions. 3. Hunting the "Golden Fleece". 4. Under way. 5. In the city of the living God. 6. Tenting in Lama land. 7. A kentucky Derby in the Gobi desert. 7. Finding the Baluchitherium. 9. The discovery of the flaming cliffs. 10. 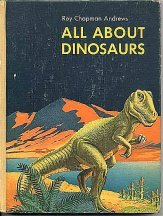 Giant beasts of three million years ago/Henry Fairfield Osborn. 11. New work and discoveries. 12. Where the Dinosaur hid its eggs. 13. Professor Osborn visits the expedition. 14. Bigger and better eggs. 15. The dune dwellers of Mongolia. 16. A tragedy of the Gobi desert. 17. On the trail of ancient man. 18. The world's oldest mammals. 19. Snakes and fossils. The Central Asiatic expedition. Fund contributors. Scientific papers of the expedition. Index. From the Preface: "The present book is a preliminary narrative of the field work of the Central Asiatic Expeditions. So Many requests for a collected account of the activities of the expeditions during the last four years have come to us that we felt it was due the public to give the story of our experience in Mongolia up to the present time." "Will you kindly inform me on enclosed postal, at the time when your photographs of whaling scenes will be on exhibition, as I am very anxious to have an opportunity of seeing them." 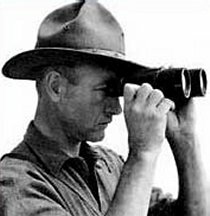 Roy Chapman Andrews was born in Beloit, Wisconsin in 1884. 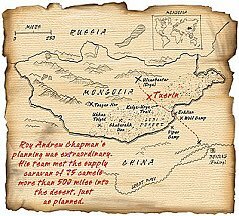 Andrews reported that from his earliest childhood he had a desire for travel and adventure. "I was born to be an explorer," he later wrote in his 1935 book The Business of Exploring. "There was never any decision to make. I couldn't do anything else and be happy." He also stated that his only ambition in life was to work at the American Museum of Natural History. Using money he saved from his job as a taxidermist, he arrived in New York City in 1906 after graduating from Beloit College. When Andrews applied for a job at the museum the director told him there were no openings. Andrews persisted saying, "You have to have somebody to scrub floors, don't you?" The director admitted that he did. Andrews took the job explaining that he wasn't interested in scrubbing just any floors "but museum floors were different." A humble beginning for a man destined to become one of the museum's most famous explorers and later the director of the museum himself. He started scrubbing floors in the taxidermy department and soon was a member of the collecting staff. His first interest was whales. He obtained for the museum a record sized right whale that had come ashore on Long Island. Then he traveled to Alaska, Japan, Korea and China to collect various marine mammals. He wrote two papers about them and at the same time completed his Masters of Arts in mammalogy from Columbia University. Much more continued at the Virtual Explorer Society Website. 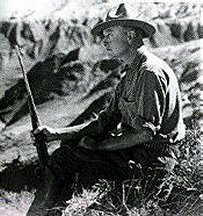 Roy Chapman Andrews (1884-1960)-- adventurer, administrator, and Museum promoter -- spent his entire career at the American Museum of Natural History, where he rose through the ranks from departmental assistant, to expedition organizer, to Museum director. 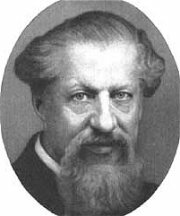 He became world famous as leader of the Central Asiatic Expeditions, a series of expeditions to Mongolia that collected, among other things, dinosaur eggs. 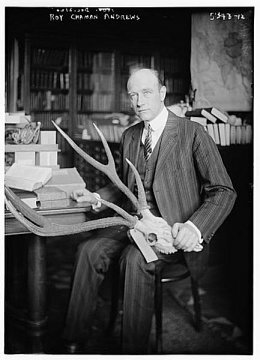 But on these expeditions, Andrews himself found few fossils, and during his career he was not known as an influential scientist. Instead, Andrews filled the role of promoter, creating immense excitement and successfully advancing the research and exhibition goals of the Museum. Dogs and Men ~ 1924 C. Scribner's Sons: NY Cloth (dog's head embossed on front cover), 12mo, 152 pages. 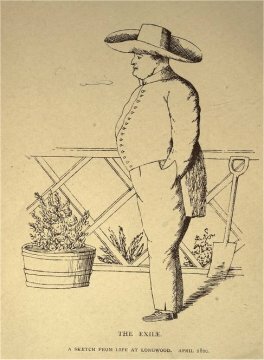 The Newfoundland Luath, prominent in this memoir, created the part of Nana in Barrie's Peter Pan. 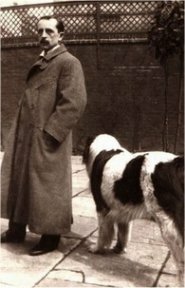 The author's Saint Bernard Porthos is another memorable presence. Mary Ansell: Wife of Peter Pan creator, J. M. Barrie. 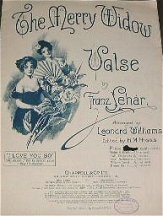 In July 1894, Barrie married Mary Ansell, a stunning actress who played opposite Irene Vanburgh in Barrie's second play, Walker, London. He fell in love with the young starlet who had run her own touring company. Despite their mutual attraction, the marriage floundered. Barrie the writer expressed some of the most delicate emotions one person could have for another, but Barrie the husband was rigid and unemotional. This malaise, together with the couple's inability to have children -- both Mary and James desperately longed for a family and lavished love on Porthos, their dog -- ultimately led Barrie to seek affection from other people's children and created an unbreachable chasm between him and his wife. 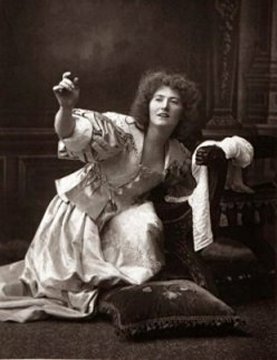 The marriage was not a success, but in it's duration Barrie wrote his most successful plays, including The Little Minister (1897), The Admirable Crichton (1902), and his most memorable work--Peter Pan (1904). Mary Ansell--divorced him in 1908. That same year, Arthur Llewelyn Davies died of cancer and in 1910 his wife Sylvia followed him, with the same disease. Barrie was left to take care of all five Davies boys, whom he treated like him own children. In later years, Barrie was made a baronet and received several honorary degrees on account of his literary figure. 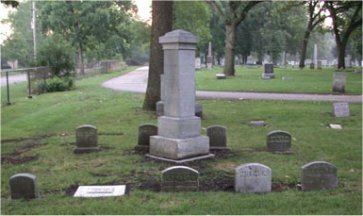 He died in 1937 after a long life. 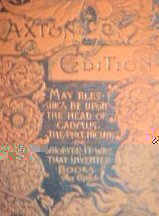 Anthology: Half Hours with Great Story Tellers ~ 1889 ~ Belford, Clarke & Co.: Caxton Edition ~ Artemus Ward, George MacDonald, Max Adeler, Samuel Lover and others. May Blessings be upon the head of Cadmus, The Phoenicians or Whoever it was that invented books - Thos. Carlyle. 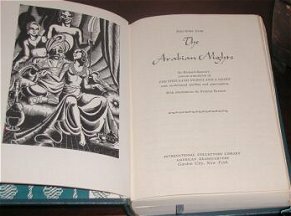 Arabian Nights ~ No author recorded, could be: 1924 ~ Edited by Orton Lowe ~ Chicago: Winston Co. ~ with colour plates by Adelaide H. Bolton. In heraldry, an armiger is a person entitled to use a coat of arms. Such a person is said to be armigerous. Origin of the term: The Latin word armiger literally means "armour-bearer". 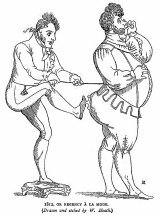 In high and late medieval England, the word referred to an esquire attendant upon a knight, but bearing his own unique armorial device. Armiger was also used as a Latin cognomen, and is now found as a rare surname in English-speaking countries. Mr. Wellesley. As Armiger put it in the 1918 Titles: A Guide to the Right Use of British Titles and Honours "It cannot be too firmly stated that the word "honourable" is never used in speech." (Except when referring to " the honourable member")The word honourable is only used in addressing envelopes and in formal court announcements. Science fiction historian Sam Moskowitz, in his introduction to the Hyperion Press edition of Journey to Mars, points to several elements that recur in Burroughs’ work. Both heroes are officers, John Carter, a captain in the U.S. Army, and Lieutenant Frederick Hamilton of the U.S. Navy. On both versions of Mars there are ancient, declining civilizations with super-technology, however the weapon of choice remains the sword. Both heroes have greater strength than the native Martians, given the lower gravitation (Burroughs) or the higher oxygen content of the air (Pope). Both men fall for their respective beautiful princess, Dejah Thoris (Burroughs) and Suhlamia (Pope). Both young women are courageous and come from a race of people who live for an indefinite time. The Martians in Pope’s book ride around on gigantic birds instead of the Thoths encountered on Burroughs’ Barsoom. Finally, both books have a cliffhanger ending, Burroughs’ world about to succumb to asphyxiation, Pope’s royal city to be destroyed by a meteorite storm. While there are differences in that Carter is mysteriously transported to Mars while Hamilton reaches it aboard a Martian spacecraft visiting a Martian base at the Earth’s North Pole, and that Pope’s story is much more slowly paced than Burroughs’, the similarities exist. 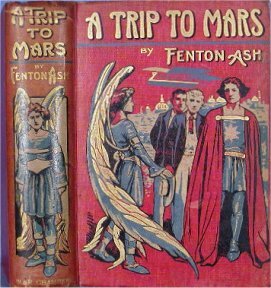 Pope published another SF novel, A Journey to Venus (F. Tennyson Neely, 1895), but this has never been reprinted and is not a sequel to A Journey to Mars. Very little is known of Pope except that he was a medical doctor practicing in Washington, D.C., who also wrote half a dozen juvenile adventure novels, some non-fiction, and some religious pamphlets. Lieut. Gullivar of Mars is held by most accounts to be the most likely influence on ERB’s Under the Moons of Mars , except that while widely available in England, it was not published in the United States until the 1965 Ace (F-296) edition, with cover art by Frank Frazetta. Edwin Lester Arnold was the son of the famous Sir Edwin Arnold, Orientalist, journalist (chief editor of the London Daily Telegraph), and author of the long narrative poem “The Light of Asia” (1879). 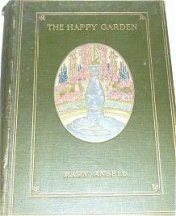 E.L. Arnold (1857-1935) was born in Swanscombe, Kent, England, spent his childhood in India, and returned to England to study agriculture and ornithology. After much world travelling with his father he settled down to a job as a journalist in 1883. 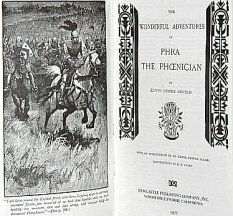 In 1890 his first novel, Phra the Phoenician, appeared in the prestigious Illustrated London News, in 26 parts each with a full-page illustration (it pays to have a daddy in high places). 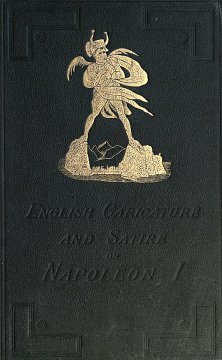 The first edition (Harper's 1890) had no illustrations since it was likely a pirated edition, but the first British edition (Chatto and Windus, 1891) did include about half the illustrations. The latter edition was reprinted in the Newcastle Forgotten Fantasy Library, Volume XI (1977). Phra is a novel of reincarnation in which the title character, a Phoenician merchant, sails to Britain. There he meets a beautiful barbarian druid princess, Blodwen. When Julius Caesar invades Britain, he dies after having been betrayed by a jealous druid. He wakes up 400 years later, not having aged, and, courtesy of Blodwen, with his entire past history tattooed on his body. After more swashbuckling adventures, he dies again to reawake another 400 years later, and so on. Finally, in Elizabethan times, hoping he will truly die and rejoin Blodwen in Eternity, he writes his memoirs. The story was very popular and even reprinted by popular demand as late as 1945 (Famous Fantastic Mysteries, September 1945). Phra also spawned a number of imitations, the best known of which is George Griffith’s Valdar the Oft-Born: A Saga of Seven Ages (Pearson’s Weekly, 1910; FAX Collector’s Editions, 1972). Another excellent variation on the theme is Arthur D. Howden-Smith’s Grey Maiden (magazine, Adventure, 1926; book, Longmans, 1929, abridged version, Centaur, 1974), about an imperishable sword which is discovered and used at intervals through history. Arnold himself reused the theme in the novelette Rutherford the Twice-Born (The Idler, 1892; in book form, The Story of Ulla, 1895), and in the somewhat tongue-in-cheek Lepidus the Centurion: A Roman of Today (1901; reprinted Arno Press). Unfortunately the latter novel’s comedic style didn’t go over well with the reading public and Lepidus was a bomb. Trip to Mars aka The Sunday Circle ~ 1909 ~ W. & R. Chambers: London ~ 318 pgs. 6 colour illos. by W. H. C. Groom. 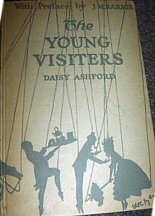 Two archetypical young Edwardians 'stalwart, well-grown, clean limbed British youths' visit the planet Mars and encounter its winged inhabitants. Inspired by Percival Lowell's 1908 scientific book Mars as the Abode of Life. Edwardian juvenile, interplanetary novel. A tale of a trip to Mars and of encounters with its winged inhabitants. 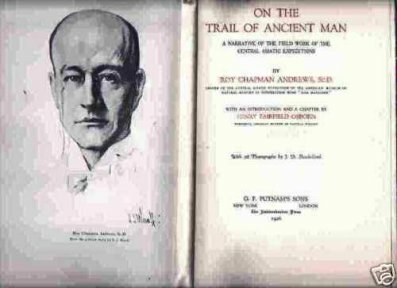 This is one of the group of life-on-Mars tales that came out in the several years following Percival Lowell's 1908 scientific book MARS AS THE ABODE OF LIFE (Lowell was the director of the astronomical observatory at Flagstaff Arizona). Included are six plates in full color. 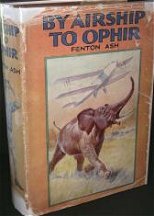 As "Frank Aubrey" and "Fred Ashley," Atkins had written adventure romances such as THE DEVIL-TREE OF EL DORADO, A QUEEN OF ATLANTIS, KING OF THE DEAD and THE RADIUM SEEKERS, and as "Fenton Ash" he would go on to write BY AIRSHIP TO OPHIR, THE BLACK OPAL and THE ISLAND OF GOLD. 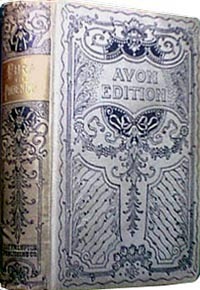 Ash wrotea number of "scientific romances" beginning with "The Devil Tree" (1896). 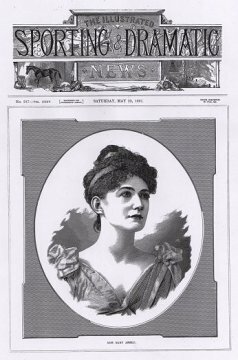 Argosy, in addition, reprinted "lost races" serial "Queen of Atlantis" in 1899. Another one was the serial of Science Fiction "Month in the Moon," published between February and August of 1897. "Young England," a 1908 magazine for boys serialized Fenton Ash's long novel, A Son of the Stars in which two young heroes journeyed across space to Mars, a fascinating world with a red sky, towering mountains, and two shining moons. One of the heroes was carried off by one of the great bats that lived among the Martian peaks. Ash also wrote "Lost World" fantasia and juvenilia as Frank Aubrey and Fred Ashley. 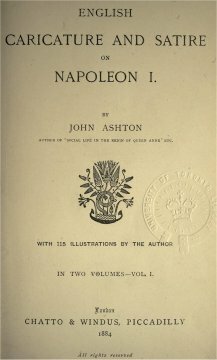 Online eText Version: http://www.stonesoup.com/ash2/ash1.html "The owner of the copyright guarantees that The Young Visitors is the unaided effort in fiction of an authoress of nine years." So reads the preface of this short novel, penned by a child, although if no one told you, it would not be obvious. The preface, which describes the young authoress and her personality, is almost as interesting as the story itself. 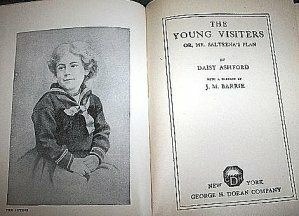 The Young Visiters sold 300,000 copies in 1919! And that was just in Britain! When we published Crippled Detectives by Lee Tandy Schwartzman in 1978, it was no longer possible, if one wanted the work to be taken seriously, to publish a child’s manuscript virtually as is. Or at least so it seemed to us then, and still does today. We standardize spelling and punctuation in Stone Soup (and did so in Crippled Detectives), although we do leave grammatical innovations, as we did in the work of the Vietnamese boy Huong Nguyen. As you read The Young Visiters you will find yourself immersed in the world of popular romantic fiction of the first decades of this century. Re-reading The Young Visiters makes me feel much more tolerant of student writing that is heavily influenced by mass culture. It reminds me that we learn by copying; that the desire, and then the will to carry through with the desire to tell a story is the true underpinning that makes all great artists great. The rest of us are those who have made a list of great titles for our books, but haven’t been able to make the books to go along with them! 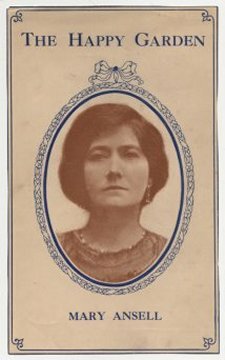 Isabel Carleton was five volume series published by the MacMillan Company between 1916 and 1920. 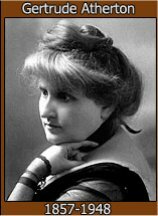 Margaret Ashmun: an early central Wisconsin educator/novelist who wrote fiction, non-fiction, and children's books and her works include The Lake and the Isabel Carleton series. "Thus terminates in exile, and in prison, the most extraordinary life yet known to political history. The vicissitudes of such a life, indeed, are the most valuable lessons which history can furnish. 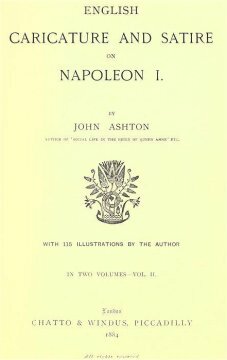 Connected with, and founded on, the principles of his character, the varieties of fortune which Buonaparte experienced are of a nature to illustrate the most useful maxims of benevolence, patriotism, or discretion. They embrace both extremes of the condition of man in society, and therefore address themselves to all ranks of human beings. But Buonaparte was our enemy—our defeated enemy—and, as Englishmen, we must not tarnish our triumphs over the living warrior by unmanly injustice towards the dead. . . . It may, we confess, be no satisfaction to the French, nor any great consolation to the rest of Europe, to know through what means it was, or by what vicious training, that Buonaparte was fitted, nay, predestined almost, to be a scourge and destroyer of the rights of nations, instead of employing a power irresistible, and which, in such a cause, none would have felt disposed to resist, for the promotion of knowledge, peace, and liberty throughout the world. . . . But he had left himself no resource. He had extinguished liberty in France, and had no hold upon his subjects, but their love of military glory. Conquest, therefore, succeeded to conquest, until nothing capable of subjugation was left to be subdued. Insolence, and rapacity, in the victor, produced, among the enslaved nations, impatience of their misery, and a thirst for vengeance. Injustice undermined itself, and Buonaparte, with his unseasoned empire, fell together, the pageant of a day." "He put his foot on the neck of Kings, who would have put their yokes upon the necks of the People: he scattered before him with fiery execution, millions of hired slaves, who came at the bidding of their Masters to deny the right of others to be free. The monument of greatness and of Glory he erected, was raised on ground forfeited again and again to humanity—it reared its majestic front on the ruins of the shattered hopes and broken faith of the common enemies of mankind. . ."
Gertrude Franklin Atherton (1857-1948), American biographer, historian and author of the best-seller Black Oxen (1923). She also wrote under the pen names Asmodeus and Frank Lin. She wrote many novels, short stories, essays, and articles for magazines and newspapers on such contemporary issues as feminism, politics and war. She is oft said to have been difficult and strong-willed herself, writing before her time, but her scope and range of vision in her stories of remarkable and independent woman entering the 20th century are well-respected and still in print. 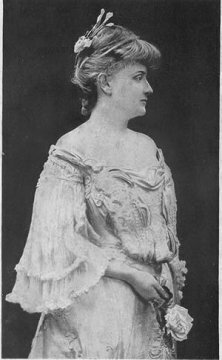 "To be intensely natural, yet to impart to her creations a touch of ideality which may often be invisible in real life, although existing in an imperfect medium, is one of the literary principles of that delightful writer of California stories, Mrs. Gertrude Atherton. Of her favorite field - California before the American occupation - Mrs. Atherton has made an exhaustive study, living in the old towns with the remnants of the race of which she writes, and storing up knowledge of their customs and traditions. She was born on Rincon Hill, San Francisco, and was educated by her grandfather, Stephen Franklin, who was a nephew of Benjamin Franklin. 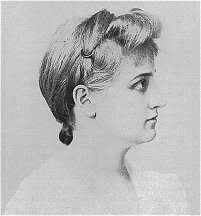 Her father was Thomas L. Horn, one of the original Vigilance Committee. As a child she composed stories, and at fifteen she wrote a play which was acted by schoolmates at St. Mary's Hill, Bienicia, Cal. Her education was completed at Sayre Institute, Lexington, Ky., and soon thereafter she was married to George H. B. Atherton, of California. She continued her persistent pursuit of knowledge, however, with an ambition to one day take a place in American literature. Her first published story, "The Randolphs of Redwoods," appeared in the San Francisco "Argonaut." 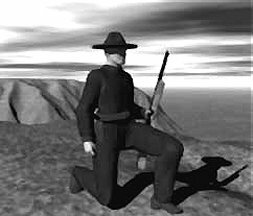 But her best work is in her stories of old California, "The Doomswoman" and the eleven shorter ones that have been collected under the title, "Before the Gringo Came." Some of her stories have appeared in "The London Graphic," "Blackwood's" and other English periodicals, and the "London Speaker" recently referred to her as one of the pioneers of the true American literature. Mrs. Atherton, who now resides at Yonkers, N. Y., has in preparation a novel to be entitled, "Patience Sparhawk and Her Times." From a biography of the day.